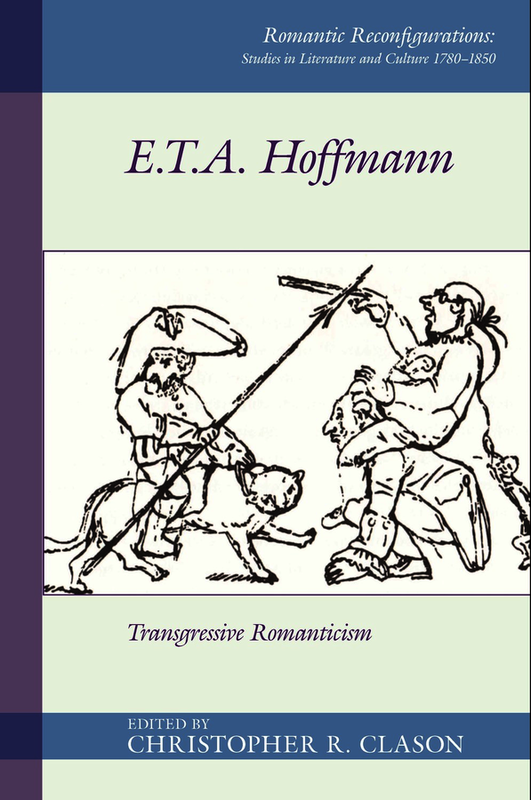 This collection of essays addresses a very broad range of E. T. A. Hoffmann’s most significant works, examining them through the lens of “transgression.” Transgression bears relevance to Hoffmann’s life and professions in three ways. First, his official career path was that of jurisprudence; he was active as a lawyer, a judge and eventually as one of the most important magistrates in Berlin. Second, his personal life was marked by numerous conflicts with political and social authorities. Seemingly no matter where he went, he experienced much chaos, grief and impoverishment in leading his always precarious existence. Third, his works explore characters and concepts beyond the boundaries of what was considered aesthetically acceptable. “Normal” bourgeois existence was often juxtaposed to the lives of criminals, sinners, and other deviants, both within the spaces of the known world as well as in supernatural realms. He, perhaps more than any other author of the German Romantic movement, regularly portrayed the dark side of existence in his works, including unconscious psychological phenomena, nightmares, somnambulism, vampirism, mesmerism, Doppelgänger, and other forms of transgressive behavior. It is the intention of this volume to provide a new look at Hoffmann’s very diverse body of work from numerous perspectives, stimulating interest in Hoffmann in English language audiences. Christopher R. Clason is Professor of German at Oakland University. He is co-editor of 'Romantic Rapports: New Essays on Romanticism Across the Disciplines' (Camden House, 2017) and 'Literary and Poetic Representations of Work and Labor in Europe and Asia during the Romantic Era' (Edwin Mellen Press, 2011).